Really great read, Jenny. Speaking along these lines last week with my Teaching in Higher Education course – will now be getting this link into their hands for further thinking and discussion in weeks to come. Thanks, always, for the clear thinking and voicing of connections across a complex topic. Delightful post, Jenny. Thank you. I think you have the distinctions, insofar as they exist, pretty spot on (as far as I get them anyway). And I think the point you make, that the distinctions get blurred, and are not always present is a really important point. For example, some cMOOCs have some aspects of centralisation. Etmooc had a daily topical seminar, with expert lectures, and a structured weekly tweetchat, which seemed to work very well. I think PLENK had centrally generated newsletter. Coursera MOOCs, the good ones (and there are good ones) push their forums, publicise their participants self-generated social media linkups, ask students to create reflections and promote peer engagement, and allow personalisation of artefacts produced and assignemnts completed. Udacity’s latest report on it’s xMOOCs with San Jose University are perhaps pushing them to change their model to a more blended approach, signalling a potential evolution of that model. Perhaps another categorisation method might be to look at what different MOOC types might teach. Siemens is, somewhat vaguely, on record as saying cMOOCs are for contexts where the knowledge landscape is changing rapidly, is not set, and ideas of what constitutes the truth of the subject are up for grabs – which is quite a specific set of characteristics. I think Dave Cormier says something similar. I haven’t seen a hard and fast topic list from a Connectivist yet, but it looks likely that cMOOCs are more suited to, for example, learning about digital literacy than doing a remedial course in statistics. I would not want my electrician to have trained in a cMOOC, but I could see how a good xMOOC might work. xMOOCs are probably better suited to delivering introductory math courses. And. coming to think about it, could probably do a good job of teaching into some of the knowledge landscapes that Siemens marks out for cMOOCs, if well designed. There are also differences in the measureability of learning outcomes. In cMOOCs, it’s typically not a concern, and may not really be possible. In xMOOCs, measureable learning outcomes tend to be built in, and measureability is key. There are also differences in how we tend to assess their quality as instructional tools. xMOOCs tend to assess learning outcomes, and be data driven, with qualitative data helping to explain the quantitative. So, who engaged, how many sessions did they view, how many pieces of homework did they submit, how did they score on testing, as well as personal perspectives on positives and negatives tend to form the perspective on how well the MOOC performed. cMOOCs tend to have a fairly slight focus on quantitative data. There are typically no learning outcomes, or assessment of the artefacts produced would be so time demanding as to make it implausible. I’m not sure cMOOCs really have an assessment model for their own performance that is fit for purpose yet. Hi Wilt – many thanks for this detailed response and additional information about the differences between xMOOCs and cMOOCs. The centralisation issue is an interesting one. I’m not sure if you were a participant in CCK08 (the very first MOOC), but that MOOC did have a centralised aspect in that it had Moodle discussion forums. These were abandoned in future cMOOCs, I think in response to the ‘power games’ that can be played in discussion forums – but I would need to look back at the actual discussions around this. There is of course a location in cMOOCs where people go to find the course syllabus, the links to webinars etc. but features such as the newsletter are aggregations of what is ‘out there’ and what is being produced ‘out there’, i.e. content that is pulled in, rather than content that is ‘pushed out’ from a central location. I think you make an interesting point about what subjects an xMOOC or cMOOC are able to cover. My immediate reaction, which I will need to think about further, is that it may not be so much to do with the subject matter as the level of learning and how much participants can manage their own learning. So for example, a ‘novice’ physicist just entering the field might very well benefit from a prescriptive xMOOC on physics concepts, but I am pretty certain that expert physicists wouldn’t resort to xMOOCs, but they probably do learn all the time in open networks participated in by fellow physicists. This brings me to the difference between prescriptive and emergent learning (which I have researched with colleagues – there are some links in my publications list – https://jennymackness.wordpress.com/publications/). We believe that there will always be a need for prescriptive courses and your ‘novice’ electrician when starting out may well have needed such a course – but hopefully your ‘experienced’ electrician is a member of an open network of electricians, where learning will be emergent according to the problems that arise, and these problems can be shared and solved through interaction with the network. That is the point of cMOOCs – the information is out there if we know how to network and make connections. Finally I think assessment and understanding what and how MOOC participants learn is difficult for both cMOOCs and xMOOCs (but, then assessment always has been difficult even without MOOCs). I don’t think either have it cracked. My very limited experience of xMOOCs is that the certificate I get at the end is more to do with attendance and completion of given tasks than what or how I have learned, and whilst the tasks are peer reviewed, I think there’s a long way to go before this is a reliable judge of quality learning. There are quizzes too in xMOOCs, but again, I’m not sure how much they are a measure of learning. Designing quality multichoice questions that can really test a learner’s knowledge and understanding, as opposed to recall, is notoriously difficult. Some cMOOCs are going down the route of traditionally assessing small numbers of participants, i.e. capping the number that can be assessed and then having this work assessed by tutors. CCK08 and FSLT13 did this, but it clearly won’t work if large numbers wish to be assessed. “It’s a two-step process. In the first step, we identify what the competencies are that constitute expertise in a given area of study. In the second step, we compare an individual’s performance against that expertise. Thanks for your post! This topic is an important one, especially for educators. Sometimes I wonder if a lot of angst could have been saved if the “xMOOCs” did not use the term ‘MOOC’, but chose something else. Clearly, they are inspired by the original MOOCs, and borrow some elements from them, but then stuck pretty close to the traditional classroom model. However, they have caught fire, and are a genuine innovation in itself as a projection of the classroom model. The cMOOC concept does represent a new paradigm in learning/teaching, with some radical principles that could prove to be revolutionary (and have an even larger impact). Or it could stay fairly niched to certain types of content areas and act as more of an ideal or pedagogical influence for others (this is still a big impact). thanks for the substantive response there. I think I’ll plunge right in, probably agreeing with some, disagreeing with others, and querying some more. I think part of the reason I raised the centralised newsletter was that participants expressed an appreciation of the centrality the newsletter represented. Of course it was a collation or aggregation, but it served as a focus and structure for people who said they needed just such a thing. It reminds me, to a degree, of the constructivist argument against direct instruction, while arguing for scaffolding, which often transpires to be a form of direct instruction. Or, to put it anohter way, participants valued the newsletter for numerous reasons. One was the fact that it represented a non distributed, linear, and centralised form to a chaotic experience. The content may be pulled in, but the function, for some, is centralisation. The physicists and electricvian examples are interesting. The networked aspect for physicists you describe is well established. 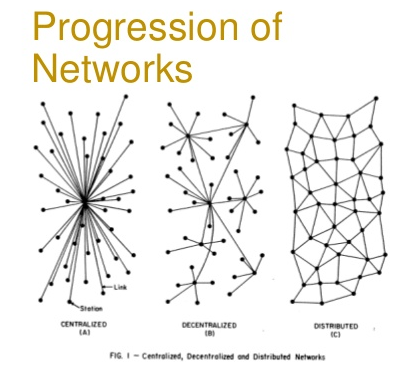 Communities of Practice might describe aspects of those networks theoretically. But physicists networks are highly formalised, often, and it strikes me that the transparency protocols, peer review practices, papers, and formal avenues for research sharing are possibly what drives high level physics. It strikes me as a far less random, chance, or non centralised process than a Connectivist MOOC, or a Connectivist description of networked learning, It also strikes me that, although knoweldge is abundant in physics, the nature of that abundance is radically different to that which underpins Connectivist assumptions, and keeping track of new physics is likely to be a much more formalised process than the processes involved in PLENK, or CCK. And given that Connectivism is best suited to areas where there is not an already well established and relatively stable body of knowledge, it seems unlikely phyciscs would be a good candidate here. That’s not to say Physics is not a Community of Practice, of some form, or that networking does not occur, but it does seem likely that Connectivism is not a good description for knowledge exchange amongst expert physicists. With regard to electricians, let’s drill down a little. Certainly, it does seem that for novice electricians, the instructionist form of xMOOC is….less unsuitable than a cMOOC. And that;s probably a good description. But rather than focusing on expert use of networks (and networks of professional peers are not necessarily Connectivist, we could label them Wengerist, and accept his description of them) what level of knowledge would be usefully imparted. Certainly, intermediate, or approachinfg expert electricians are unlikely to benefit from a Connectivist approach, given that a necessary aspect of training are testable learning outcomes, standardised testing, and are likley to benefit somewhat from an xMOOC approach. It;s unlikely that, for many working electricians, either type of knowledge context is that useful in their day to day work. Domestic electrical work and industrial electrical work are regulated, controlled, and subject to rigorous specification, and familiarity with that specification is likley to have been a function of qualification. High end work is likely to require specific qualifications, and rigorously determined skillsets which are testable, certifiable and provided in quantifiable formats. In short, access to the Community of Practice is instuctionist based, and significant parts of career development will be similarly tied. It looks like the majority of knowledge transfer is likley to occur in formalised settings. I guess what I’m driving at here is, the space for Connectivism as a primary driver of knowledge in many contexts seems limited, or is less efficient, useful, or viable, often, than more traditional modes. And that leads me to an unanswered question. Connectivist exponents argue that it’s most useful for areas where the body of knowledge is not set, of fluid, or up for grabs. But I haven’t encountered a Connectivist who is happy to say what cannot, should not, or is innefficiently learned by it. The qualitative/quantitative aspects, I think, you are right about. A mix is desireable, Udacity’s recent report has both, Stanford’s report on MOOC participation has both. I do feel that recent xMOOC studies have done a reasonable job of gathering and interpreting both, and making that transparent. cMOOC studies have had less success (perhaps due to funding issues, or resources) I feel. Whatever the reason, Connectivism has always been short on hard evidence, and long on theory and philosophy. xMOOCs, though highly flawed, are beginning to gather and publish hard evidence, and the transparency that engenders makes it much easier to move towards a position where we can make assertions that we may be able to claim as true. Data has issues, but it is far easier to eliminate bias, engender objectivity, and assess impartially with it than without it. As a final note, I’ve read Downes’s assessment suggestions and possible solutions. It’s a creative and diverse set. The peer assessments seem to be too gameable, and potentially problematic ultimately, to gain traction anywhere outside of the relevant community. I wish hi well with devloping the more complex and nuanced versions, and you too. And your research is on my reading list. Has been for a while – I’m doing an MSc Research Project on motivation, cognitive load and prior knowledge in social media in cMOOCs, involving, I hope, running a small Connectivist MOOC on educational technology. Hi Wilt – many thanks for more thought provoking comments. I agree that the newsletter is important to people in MOOCs, not just cMOOCs but also xMOOCs – and that they have a scaffolding effect, whatever the intention behind them. The early research into cMOOCs provided evidence for this (Rita Kop’s work on PLENK, if I remember correctly). You have questioned where connectivism would be deemed inefficient. Interestingly, the recent call by George Siemens (via the Gates Foundation) for research bids to explore learning in MOOCs put quite a heavy emphasis on weak and less motivated students – http://www.moocresearch.com/research-initiative/about – so it will be interesting to see what comes out of that. In response to ‘Connectivism has always been short on hard evidence, and long on theory and philosophy’ – I would say – yes – necessarily so. CCK08 was the first MOOC and ours was one of the first empirical research papers to be published about MOOCs in 2010 – so it’s only been 3 or 4 years in which to start gathering hard evidence. Given that papers can take a year or more to work on and then another 6 months to a year to get published, the lack of published work is hardly surprising – but I think there will be a lot more research coming out in the next year or so. But I am talking about published work in journals. There is lots of good writing in blogs, particularly in Stephen Downes’ blog. That is always my first point of call. As it happens, I’m currently taking an xMOOC on quantum mechanics and yes there are expert physicists among the participants though I suppose it depends on what ‘expert’ means. It’s very difficult to pin down MOOCs as good for this or that. I’ve taken some cMOOCs in the past and recently a philosophy xMOOC as a complete beginner, now the QM one with some prior familiarity of the content and I’m convinced that a good MOOC should actually try to be all things to all people – eg by creating parallel paths, optional ‘tributaries’ etc, as opposed to a single flow down some pre-conceived course. If participant diversity is a defining feature for MOOCs then I wish xMOOCs would recognise this and cater far more for the majority of participants (‘lurkers’, ‘dropouts’, ‘toe-dippers’ etc) who do not ‘pass the course’ and may have no wish to do so. Hi Gordon – many thanks for your comment. I completely agree that MOOCs should create parallel paths, as opposed to a single flow down some pre-conceived course. That was the original intention of MOOCs like CCK08 and is a factor that Roy Williams, Simone Gumtau and I have considered as characteristic of open learning environments, in the research we have done on ‘Footprints of emergence’. A multipath environment is, we think, more likely to lead to emergent learning. How would you envision that xMOOCs could be designed differently? What would they have to do to cater far more for the majority? I’d love to hear your ideas on this. Jenny, thanks for the fine comparison of cMOOCs and xMOOCs and for sparking a lively conversation. I like especially your distinction “between prescriptive and emergent learning” and the implicit assumption that xMOOCs tend to prescriptive learning while cMOOCs tend to emergent learning. Dave Snowden’s Cynefin framework gives me a convenient handle for determining the appropriateness of a given educational strategy (and yes, I recognize that prescriptive and emergent are not binary distinctions, but extremes on a sliding scale). Dave Cormier neatly applies the Cynefin framework to higher education. As I see it, prescriptive approaches tend to deal better with content in the simple/complicated domains, while emergent approaches tend to deal better with content in the complex/chaotic domains. To say it simply: if I’m teaching content that has one clear, generally preferred answer and one or few clear, generally preferred methods for achieving that answer, then I prefer prescriptive teaching/learning, such as in xMOOCs. Most beginning electricians belong in this domain: preferred answers arrived at through preferred methods. If on the other hand, I am teaching content that has many, contested, open answers and many, contested, open methods for achieving those answers, then I prefer emergent teaching/learning, such as in cMOOCs. The sliding scale between the simple/complicated domains and the complex/chaotic domains roughly corresponds to the sliding scale between novices and experts, but novices can—I would say should—be introduced to the complexities of the discipline early in their education, and experts can find themselves in need of prescriptive learning late in their careers—for instance, if expert electricians need to learn the latest regulations or specifications (one clear answer, one clear method). It seems to me that modern education has much clearer concepts, vocabulary, procedures, and policies for conducting prescriptive instruction in the simple/complicated domains. Our concepts, vocabulary, procedures, and policies for working in the complex/chaotic domains are much shabbier. To my mind, one of the greatest contributions Siemens and Downes have made is to give voice to education in the complex/chaotic domain. It’s a conversation that people are beginning to engage, and slowly—sometimes too slowly—the concepts and language is emerging that helps us investigate, consider, and conduct complex education. I’m reminded here of Edgar Morin’s call in his 7 Complex Lessons in Education for the Future (1999) for instruction in complex thought. He provides there and in some of his other work some of the terms and concepts helpful in thinking about complex education. Thanks for a very useful post and links, Jenny. I remember Jon Dron’s talk from Change11. What I took from his comment that “Soft is hard and hard is easy” is that it is easy to see, critique, discuss and alter the visible, hard technologies (computers, mobile devices, etc. ), but it is much harder to foreground and change social, organisational technologies (a classroom, timetable, hierarchy). However, the real magic is not the technology, but its invisibility. All technologies become invisible through repeated use – until they fail. Then, we are reminded of the magic, the seeming impossibility of how it works, and the fact that it can stop working. The distortion of a cellphone call, a frozen video frame, and the crackle of a radio transmission are all wake-up calls. The biggest elephants in the room are the ones we are riding – the technologies (systems, structures, practices, institutions) that we have internalized and rendered invisible through routine, comfort and dependence. The dominant perspectives on technology give priority to either the social or the technology side of the equation, and they share what Orlokowski calls an “ontology of separateness”. She argues for a “relational ontology” that focuses on the assemblages, associations, and networks of humans and technologies that occur through “entanglements in practice”. Such “entanglements” seem consistent with what happens in a cMOOC. I think there are almost a continuous range of possibilities for MOOC design ranging from cMOOC style at one extreme, with just about as many different courses as there are participants free to meander through the shallows or plumb the depths as they please – to instructivist xMOOCs where a course is a single well-defined channel of increasing depth. The current xMooc I’m on nods a little in the multipath direction by providing some excellent material on background maths – not just notes but videos and quizzes in the same format as the main course thus catering for those with rusty maths but otherwise participants can join the main course a little downstream. It could go further than this. For example, science topics such as Quantum Mechanics or Relativity have a large popular appeal (general science, historical aspects etc) and a tributary course without the deep maths could conceivably run in parallel, maybe joining the other channel at the end for joint events/ discussion etc. Dialogue between two or more channels could be encouraged by rather more intelligent forum design than is evident in current xMOOCs. Keith – thanks for your comments and in particular for reminding me to revisit Dave Cormier’s post and for sending me the link to Edgar Morin’s work. I agree with everything you have written, particularly that ‘Our concepts, vocabulary, procedures, and policies for working in the complex/chaotic domains are much shabbier’. In the work that I have been doing with Roy Williams on emergent learning, one of the difficulties we have had is in ‘describing’ learning that occurs in both prescriptive and emergent learning. No sooner do we think we have cracked the description of one of the factors we use to describe learning, than we realise that we have to refine it. I suppose this is the nature of emergent learning – you just can’t pin it down! Mark, many thanks for your comment and the links and references you have posted. You have some wonderful terms in here – the ‘invisibility of technology’, ‘relational ontology’ and ‘entanglements in practice’, all of which seem to me to point more to what happens in cMOOCs rather than xMOOCs, although entanglements could also refer to the hybrid MOOCs, the blurring of boundaries between c and xMOOCs that is beginning to happen? Thanks for the references and links. Thanks for your response Jenny – yes “autonomous learners and self-direction” is needed for cMOOCs but more difficult to achieve I think for ‘linear’ STEM topics where understanding depends crucially on a progressive building up of skills. I probably used the word ‘course’ a bit confusingly – by ‘course’ I mean simply a specific path /channel or way through something for the purposes of learning. A MOOC then need not be a course at all, more of a learning space where autonomous learners paddle their own canoes through courses of their own making (the cMOOC extreme) or follow a fairly rigid pre-defined course (the xMOOC extreme). There seems plenty scope, however, for hybrid MOOCs that fall between these extremes. Nothing stopping xMOOC learners of today wandering off on mini-courses of their own making but they’d risk failing to keep up with the main stream and sinking without trace! By tributary courses I mean alternative ‘recommended’ paths contained in the same MOOC but with provision to maintain the benefits of participant diversity – the novices/experts mix etc. with (‘semi-autonomous’?) learners gently nudged (not directed or committed to) this way or that according to what best matches their different backgrounds and learning objectives. These sort of developments would almost certainly be more costly in technological and human resources. Hope I’ve clarified a bit and thanks for making me think – now back to QM lest I sink without trace! Hi Gordon – yes – many thanks for the clarification. I agree with you and I think Stephen Downes has always said that it is a shame that MOOCs had the word ‘course’ in there. I’m not sure that xMOOCs would go down the tributary course route – as you say – too costly.